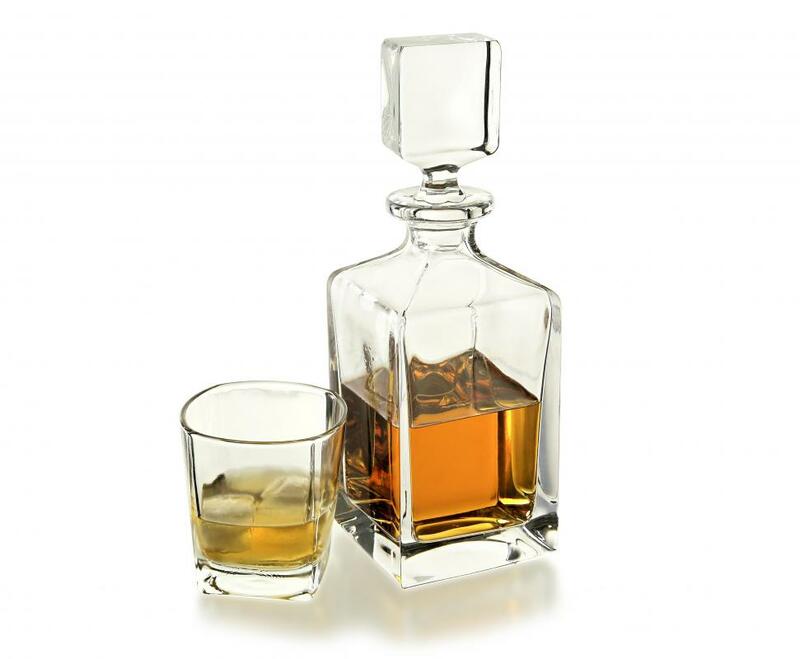 Scotch and whiskey decanters are very different from ones meant to hold wine, as they are used merely for decorative purposes. 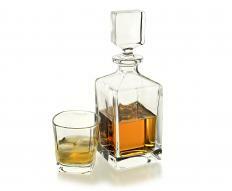 Start choosing your crystal decanter by deciding what you will store in it. A wine decanter is very different from a scotch decanter, and the purposes of each type of vessel are very different. A wine decanter, for example, is meant to separate sediment from the wine and to allow oxygen to embolden the flavors as well as help mature a young wine. A scotch decanter does not need to separate sediment, because scotch does not have any sediment. Further, oxygen can negatively affect scotch after time, so the crystal decanter you choose for scotch must serve a different purpose. Once you have determined what you will store in the crystal decanter, research the different styles, shapes, and sizes of decanters that will suit your needs. A scotch decanter should be large enough to hold an entire bottle of scotch, and a wine decanter should be large enough to hold a bottle of wine and then some. This will allow more oxygen to enter the decanter and affect the wine itself. A crystal decanter for wine is often very wide at the base and very thin at the top; this allows the wine to spread out over a large space for oxygenation and sediment settling. An antique crystal decanter may be a nice option for some people, but it is important to remember two distinct disadvantages to an antique: first, the cost of the antique crystal decanter is likely to be higher than other options. Second, lead in the crystal can seep out into the liquids being stored in the decanter. Some experts say this lead build up can adversely affect one's health, while others say the effects are fairly negligible. Either way, the crystal decanter will have these traces of lead in it, so you will need to be aware of the risk. If you are choosing a scotch decanter, carefully consider the stopper included with the decanter. The stopper prevents oxygen from entering the decanter and affecting the taste and quality of the scotch. Stoppers may be made from glass, crystal, rubber, and even cork. Choose one that is made of a durable material; while cork is effective at keeping out oxygen, it is not very durable and will wear out over time, as will rubber. Glass and crystal stoppers are best, though they must be made well in order to function well. A glass or crystal stopper can be coated with rubber or plastic to form a very tight seal. How Do I Choose the Best Lead Crystal Decanter? What Is a Ship Decanter?